Stuffed dolls for Kinders. Yarn hair, felted strawberry food, rag bodies. These are boxes that I make out of scraps in from the bins in the woodshop, or with my old leftover materials. 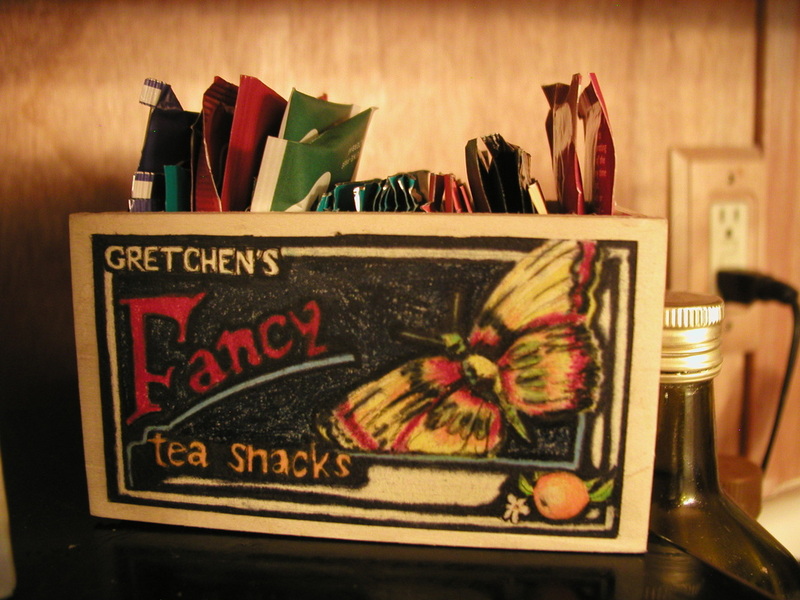 I adhere labels to the plywood to make something reminiscent of an old fruit-crate. I usually try to make the labels interesting or funny, and the boxes end up being a lot of fun. 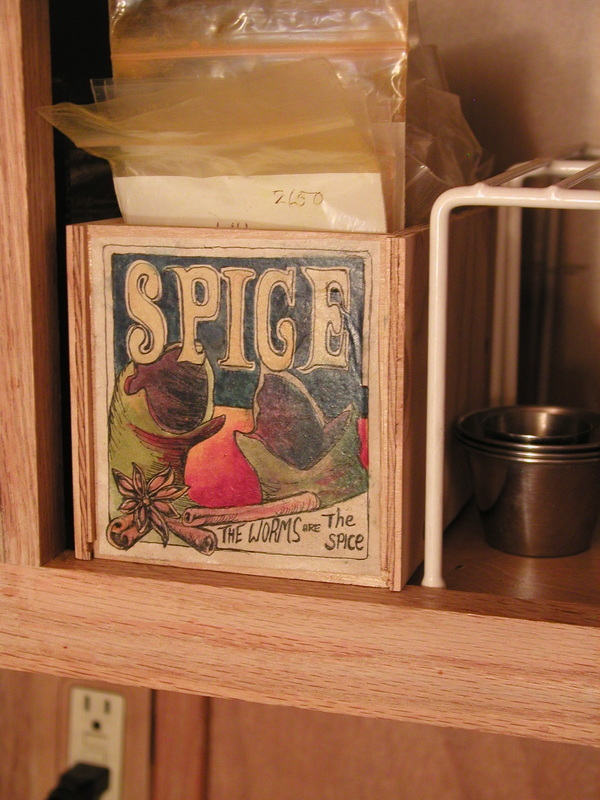 The butterfly teabox is the exact width of a packaged teabag, and the spice box holds all my bulk spice purchases together. Cinnamon will no longer have to sit with the professionally-packaged spices.